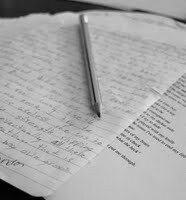 Writing is always in season, and the spring session for youth writing fun begins March 31. Activities are led by Drew Myron, with adult mentors/volunteers, and take place at the Waldport Community Learning Center, in Waldport, Oregon. A fun hour of structured reading & writing games and one-on-one reading time. This group is offered through the 21st Century After School Program. Register by calling Melaia Kilduff, Center coordinator, 541.563.3476. A fun and engaging way for students to explore creative writing through word games, crafts, poetry and prose. This group is offered through the 21st Century After School Program. Register by calling Melaia Kilduff, Center coordinator, 541.563.3476. Students generate fresh poetry and prose during this free, weekly session of revved-up writing practice. In this supportive setting, young writers share their work with the group, and enjoy feedback from adult mentors and peers. This activity is free and offered by Seashore Family Literacy. Register by calling Drew Myron, instructor, 541.547.3757. Group is limited to 12 students. Join the worldwide birthday celebration honoring the life and work of the late William Stafford, Oregon’s most famous poet. 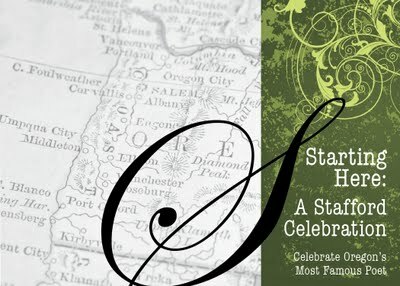 Starting Here: A Stafford Celebration takes place on Saturday, January 23 at the Green Salmon Tea & Coffeehouse in Yachats, Oregon. Doors open and music starts at 6:30pm. The reading performance begins at 7pm. Admission is free and open to all ages. 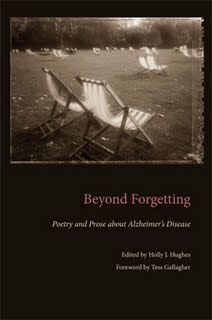 Oregon writers will read a Stafford poem, as well as one of their own pieces written in the spirit of Stafford's works. In addition, members of the audience are invited to read a favorite Stafford poem or to tell a personal anecdote about the late Oregon poet laureate. Featured writers include: Ingrid Wendt and Ralph Salisbury of Eugene, Flip Garrison of Lincoln City, Ron Brean of Yachats, Khlo Brateng of South Beach, and Drew Myron. Richard Sharpless, of Yachats, will provide music. This free event is in conjunction with The Friends of William Stafford, a nonprofit organization providing education in literature, particularly in poetry, in a way that will encourage readers, writers and those who aspire to find their own voice. In 2009, there were 60 Stafford celebrations held in Oregon, Washington, California, Kansas, New Jersey, Texas — and Malaysia, Scottland, Mexico and Japan! This event marks the first Yachats celebration. 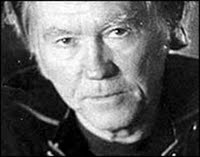 William Stafford was one of America's most prolific poets, authoring 67 volumes in his 79 years. His first book of poetry was published in 1960 when he was 46 years old. Just three years later, in 1963, he won the National Book Award, and later won the Shelley Award from the Poetry Society of America, served as the Poetry Consultant for the Library of Congress, and was appointed Oregon Poet Laureate in 1975. Stafford had a quiet daily ritual of writing. His poems, typically short, have a “steady quiet,” focusing on the earthy, accessible details. He kept a daily journal for 50 years, and composed nearly 22,000 poems, of which roughly 3,000 were published. A pacifist, Stafford was a conscientious objector during World War II. He was confined in Civilian Public Service work camps in Arkansas and California, where he did work for the U.S. Forest Service. For the following fifty years, Stafford included poems of pacifism and reconciliation in his readings. He taught at Lewis and Clark College, and traveled thousands of miles each year to give readings and to encourage aspiring poets throughout the United States, Egypt, India, Bangladesh, Pakistan, Iran, Germany, Austria, Poland and many other countries. Stafford was always "listening for the next sound," and "rubbing words together until something sparked." About his work, he once said, "I have woven a parachute out of everything broken." Stafford died of a heart attack at his home in Lake Oswego on August 28, 1993. He was 79. Read about the book and event here.